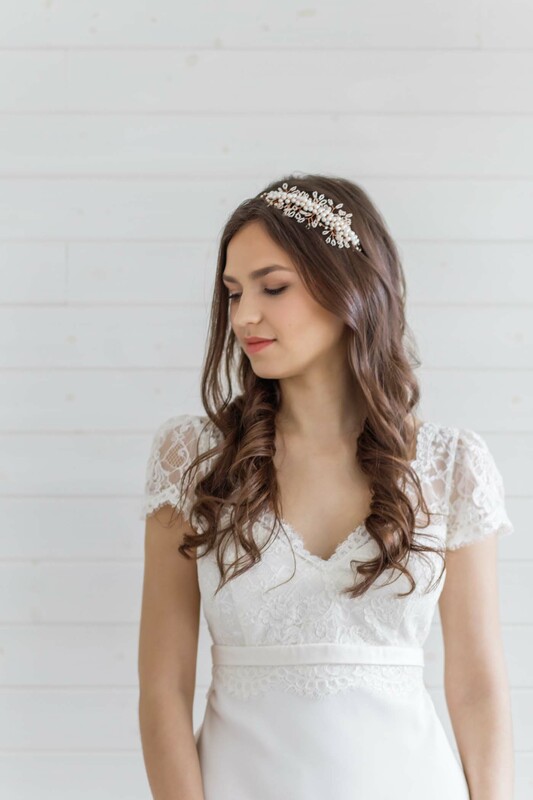 A very celebratory vintage style statement headdress made of hundreds of sparkly rhinestones that will twinkle and dance under candle light as you walk down the aisle. Adorned with two freshwater pearl leaves and a central set rhinestone embellishment. 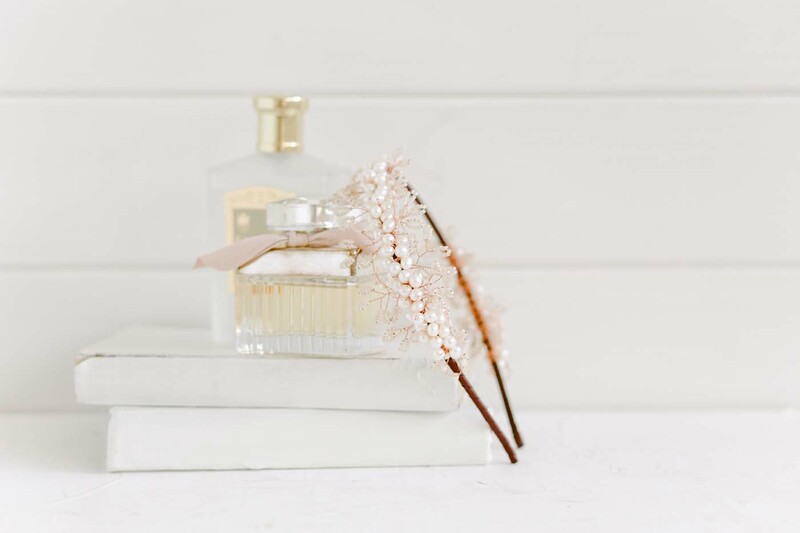 For the bride who isn’t afraid to shine. Backed in our signature, gorgeously soft suede and set on a skinny (and comfortable!) ribbon wrapped band. 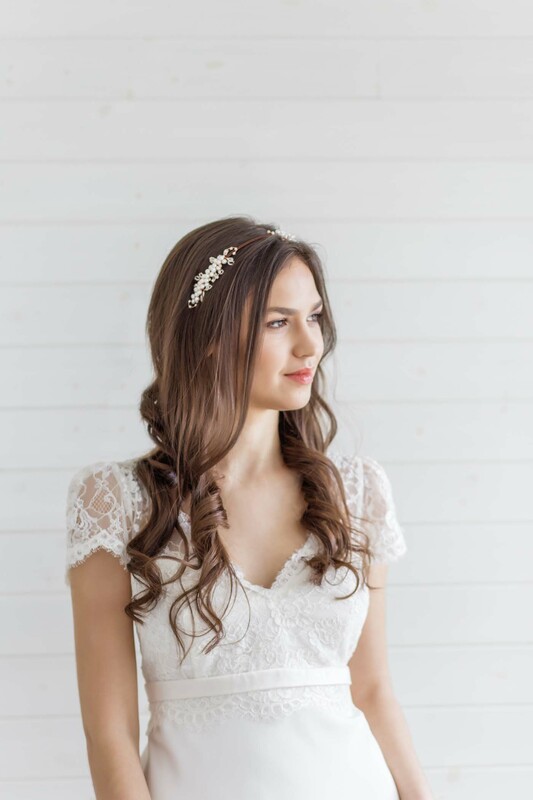 A stunning bridal headpiece that is both delicate yet impactful. Freshwater pearls are handwired into organic shapes on both sides of the head to resemble delicate Baby’s Breath Flowers. 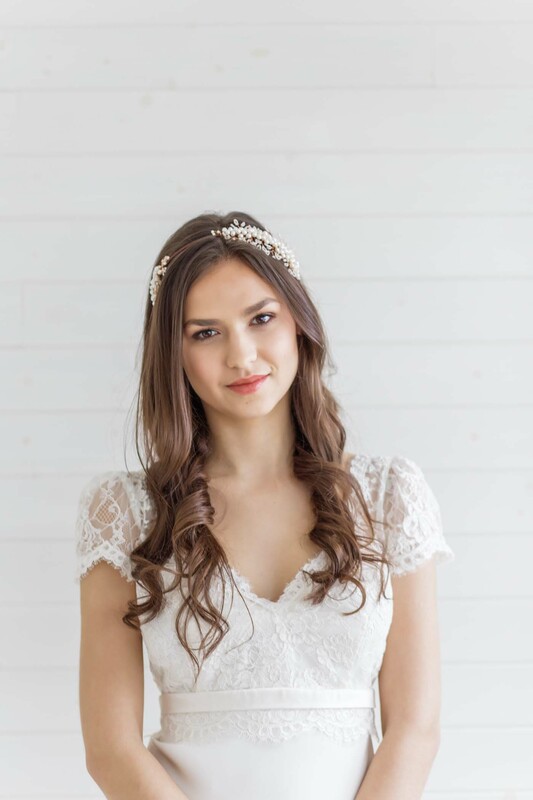 This headpiece is absolutely gorgeous and looks amazing with a delicate lace wedding dress.